He then came up with Paa, which too received national recognition for the director. He has been known for his innovative concepts and outstanding narrations with his movies. After an enormous gap, he directed Shamitabh in which Amitabh Bachchan played the lead roles in all the films. Shamitabh was not a critically acclaimed movie, and it even ended as a disappointment. Young and talented Arjun Kapoor made his debut with Ishaqzaade, and he proved that he can be portrayed in any role. He scored massive hits like Gunday and 2 States which made a decent actor. Kareena Kapoor Khan has hands full of experience, and she has been doing back to back films even after getting married. Though it’s unusual, Arjun Kapoor and Kareena Kapoor Khan teamed up for a movie titled Ki and Ka. The film has been directed by none other than R Balki. The movie has an unusual concept of the husband as a homemaker and wife earning for the family for their living. Arjun Kapoor and Kareena Kapoor played the lead roles in the movie, and it was the theatrical trailer that made the film famous and trending. The trailer has been completely convincing, and it has taken the expectation on the movie to the next level. The music of the film composed by Ilayaraja and Mithoon and Meet Bros. Anjjan has been widely popular. With Balki directing the film, the movie released between enormous expectations all over on April 1st across the world. The makers expected some stunning openings all over but the morning openings have been too small. The film opened with 15-20% occupancy which is very low with no big releases around. The movie released in around 1600 screens across the world, and it received mixed response all over. The film witnessed growth by the evening shows across the country revealed analysts. 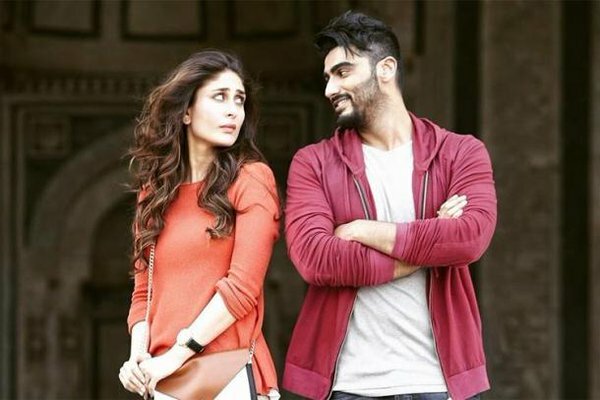 Ki and Ka collected Rs 5.5 crores on its first day all over which has been decent. Arjun Kapoor and Kareena Kapoor’s performances have been widely praised all over by the audience. The first half of the flick has been quite engaging but the second half of the film is the primary reason for the movie’s downfall. R Balki’s Hope Productions produced the talkie, and Eros International released the film. Stay tuned to The Reporter Times for latest Bollywood news and box office updates and much more. Don’t forget to share it on social media sites with your friends and other to let them also know. For more, you can subscribe to TRT daily newsletter.